Stand out among your team members at the next training session in this Team Full Zip Rain Jacket. Fully water-resistant, this lightweight, 100% polyester jacket continues the tradition of Canterbury’s cutting-edge fabric technologies. With a quick-dry Vaposhield coating, you’ll stay dry and comfortable in the elements. The jacket combines breathability with durability and practicality, with the convenience of a full zip and zip pockets that allow you to keep valuables close. 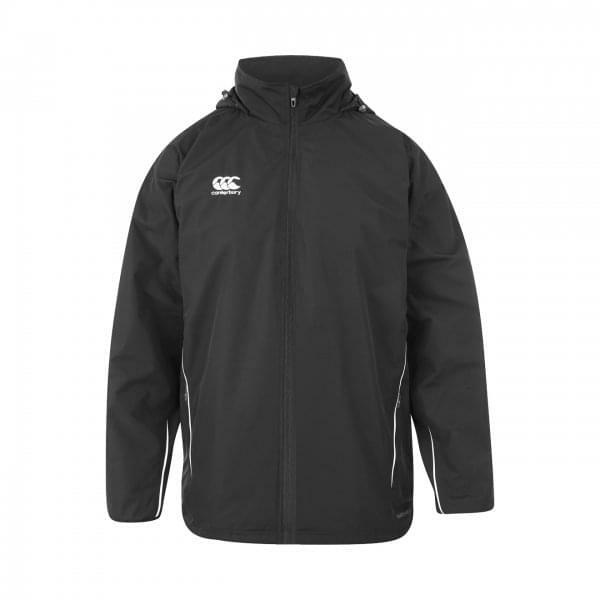 The contrast synthetic piping, concealed hood, and embroidered branding add to the stylish design, so you’ll be the talk of the team whether you’re staying warm during training, spectating at a game, or staying dry somewhere else.